From the left: Orlando, DLW participant, George and Line from Mandorla and Betina, project manager at DLW. Mandorla is a Digital Marketing company specializing in providing unique and great solutions to companies and organizations primarily in South America. Early in 2016 Dream Learn Work and Mandorla created a partnership to help talented youth to experience the labour market. Our first participant to have contact with Mandorla was Orlando Lira, which has a great interest in web design. He visited Mandorla for a day through our program ‘’A DAY AT WORK’’ a few months ago and is now employed at Mandorla. We met with Line Ostergaard, Mandorla’s CEO to see how this new partnership has affected the digital marketing company. What encouraged you and Mandorla to start a partnership with DLW? Mandorla has, since its foundation in 2014, had an incubator for digital talents. In our experience many companies know they need to be digital but lack internal competencies. That’s what Mandorla creates with its incubator. We were excited, as we learned about about DLW, because of its mission and purpose helping people realize their dreams. 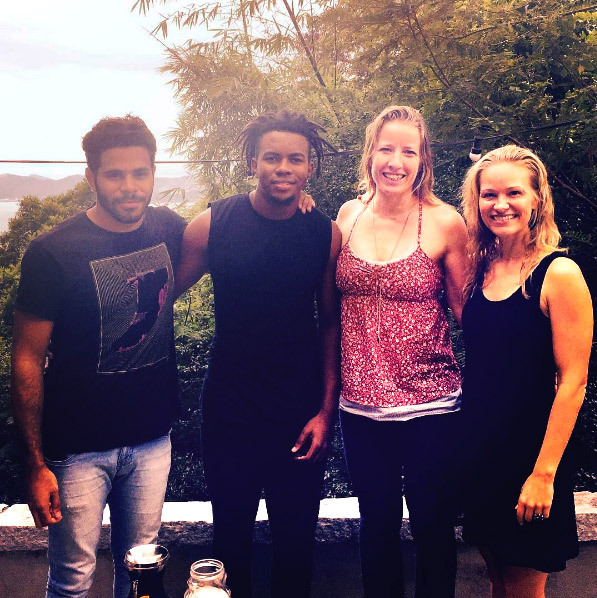 With DLW’s reach we were encouraged to start a partnership to broaden our access to amazing talents in Rio and Brazil. How was the experience with A DAY AT WORK? Our experience with ‘A Day at work’ was really positive. Our contact Betina found a great match for our team and it was a good way to get to know each other and see if there was a good fit for a possible further collaboration. What made Mandorla want to continue with Orlando (DLW participant) after A DAY AT WORK? We really liked Orlando’s personality. We were impressed with his interest in self-learning, something that’s an important driving factor at Mandorla. In addition to that we liked that he is interested in social work and sports – shows a healthy mindset.